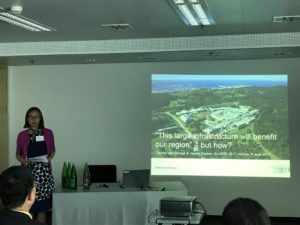 Mrs. Leonie Van Drooge (Senior Researcher at the Rathenau institute) presented the work she and colleague Dr. Jasper Deuten (Coordinator at the Rathenau institute) do for ACCELERATE at the annual Eu-SPRI conference, which hosted an audience of fellows in the field of research and impact evaluation. Mrs. Van Drooge is leader of the task to develop an approach to monitor and evaluate the societal impact of the research infrastructures. She presented the first outline of the approach which builds upon concepts and practices that Mrs. Van Drooge and Dr. Deuten, as well as colleagues, have developed over the last decade. It also takes into account the requirements imposed upon the research infrastructures.